LONDON : London Mayor Boris Johnson has called on the nation’s capital to recycle this Christmas and save £3.5m in the process. Over the festive season it is estimated that London will generate an extra 29,000 tonnes of household rubbish, mainly from glass bottles, tin foil, Christmas trees and wrapping paper. 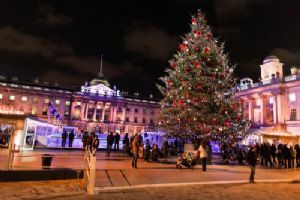 Boris Johnson said: “London’s borough councils provide a range of services to ensure the capital’s forest of discarded Christmas trees and acres of wrapping paper can be recycled rather than chucked in the bin.